1155.00 sqft. - 1195.00 sqft. 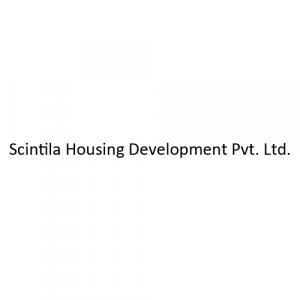 Scintila Housing Development Pvt. Ltd presents a housing project located in Kalyani, Kolkata. The project comes equipped with all the basic facilities necessary to meet daily requirements of the modern urban lifestyle of its residents, including . In Scintila Sumangal Residency, the interiors are thoughtfully designed to provide adequate space, light and ventilation to the residential units. Kalyani is well-connected to other parts of the city via an extensive road. Ghoshpara is an emerging residential hub in the suburbs of Kolkata. This locality is becoming a cosmopolitan place at a fast pace. It is bordered by Barisha in the east and Shakuntala Park to the west. Commuting is not a problem here as there are many transportation mediums present everywhere in this area. Jadabpur Railway Station is accessible from Ghoshpara. The proposed Behala Chowrasia Metro station is coming up close to the locality. The Basuldebpur High School, Sarsuna Girls High School, K E Carmel School and GB Memorial School are some of the schools present in the locality which offer quality education. Panacea Medical, Sinha Medical, Susasta Clinic, Dr. SP Roychoudary Memorial Clinic are some the hospitals which provide best medical services in the locality. Sarsuna Law College is located at the heart of the locale. Sarsuna Park and Roy Dighi are some of the celebrated spots in the vicinity. Scintila Housing Development Pvt. Ltd. is known for constructing exclusive projects with promising quality and standards for a better existence and has become one of the reckoned names in the real estate market of Kolkata. With the mission to provide the ultimate comfort to the residents, they have integrated their resources to add each and every specifications provided by their clients. The firm is actively engaged in building affordable residential flats all over the city. They are working with high sincerity and sharp managerial skills. By using the best quality construction materials, they have included all the major specifications of a modernized residence. Their goal is to serve every individual and add value by providing finest quality projects at affordable price.